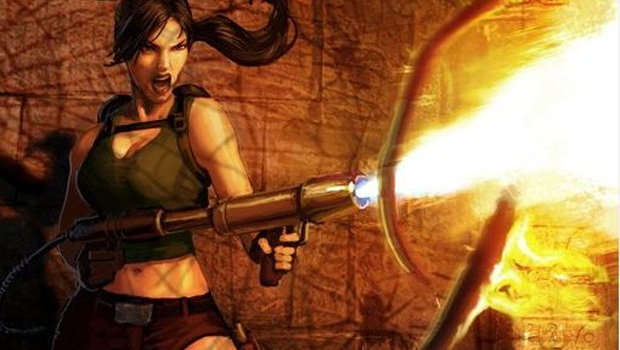 While the Summer of Arcade has been impressive thus far, a lot of people are anxiously awaiting the arrival of Lara Croft on the scene next week. It's an exciting direction for Tomb Raider and I know I'm looking forward to playing it. Unfortunately, you and I won't be able to play together on Xbox Live for over a month. Crystal Dynamics has announced that the online component for Lara Croft and the Guardian of Light just isn't going to be ready in time for the game's scheduled release on August 18th. Instead, the online cooperative mode will be patched into the 360 version on September 28th, the very same day the game will release on PlayStation Network and Steam. So much for that timed exclusive, eh? One of the most appealing features of the title being absent from the version early adopters get stinks, but what can you do? I'd rather them patch in the content and have it work instead of just dropping worthless netcode on us but, then, how many people are going to come back to the game on Xbox Live some six weeks after release to play online co-op. Personally, I prefer to play games like this on a couch, offline and with real people in the room. So, this has little impact on my life. I bet there's a bunch of people out there who are utterly pissed off about it, though.